I would like to apply a hold on my membership agreement. At any time after three months from the start of date of a membership agreement and with 14 days notice you can hold your membership for a single period of between one and two calendar months within a 12 month period. No membership hold is valid by any other medium other than the online hold form (i.e. verbal requests, email, Facebook messages, phone calls, etc) and will not be honoured. 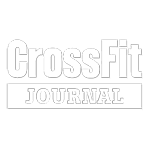 Within ten days you will receive confirmation, in writing, that CrossFit Ickenham have received this form and the date when the hold will begin and end. Throughout the time the membership is on hold, CrossFit Ickenham will charge 25% of the relevant monthly membership fee for each month the membership remains on hold. Any membership hold will start from the first day of the calendar month following the request and end on the last day of the calendar month. Membership payments will automatically restart at the contracted rate at the end of the agreed hold period. Suspending your membership is not the same as ending your membership. Membership holds are cancelled upon receipt of a membership cancellation and full cancellation terms are applied. A membership cannot be put on hold after you have given notice to end that membership. I understand that I will not have access to CrossFit Ickenham facilities or classes once my membership is on hold. Social media and workout tracking apps are not part of membership contracts.